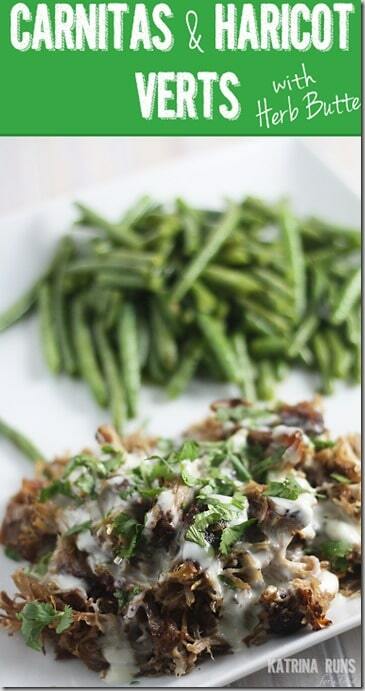 This is one of my most favorite meals and it’s all because of fat and flavor. 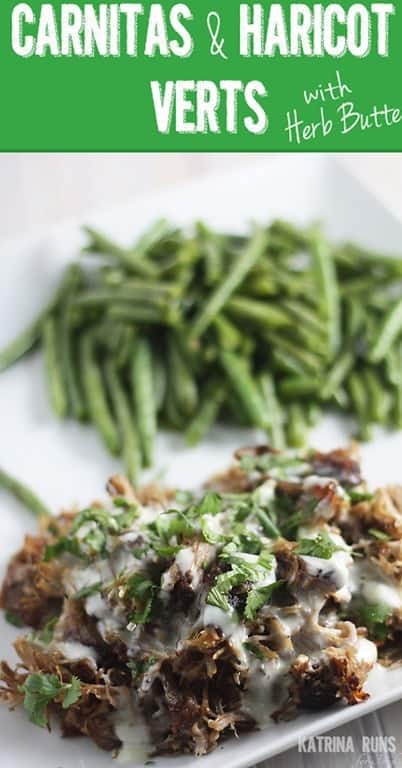 I make a big pan of my favorite pork carnitas and each time, I find more ways to use them. I was late coming home last night and needed something quick. I already had the carnitas in the fridge. All I had to do is warm them up, melt some cheese, and saute the green beans. This was filling, quick, and it meets the lower carb guidelines for Altshift. 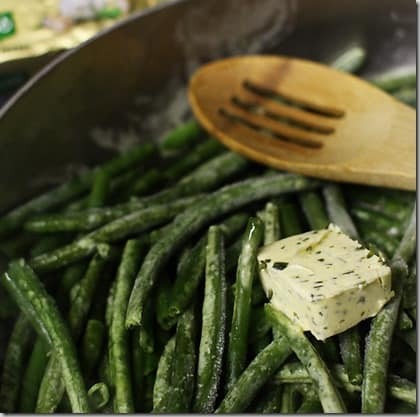 To make the green beans, I simply added some frozen beans to the same pan I used to heat up the pork. I added some Garlic and Herb Kerrygold butter and sautéed them until they were done. Salt and pepper as needed. Haricot Verts are just young, skinny green beans. I love these stir fried so they are still crunchy and not mushy.